League of Legends publisher Riot Games announced major changes to their revenue structure today, addressing concerns waged against Riot by esports figureheads last month. 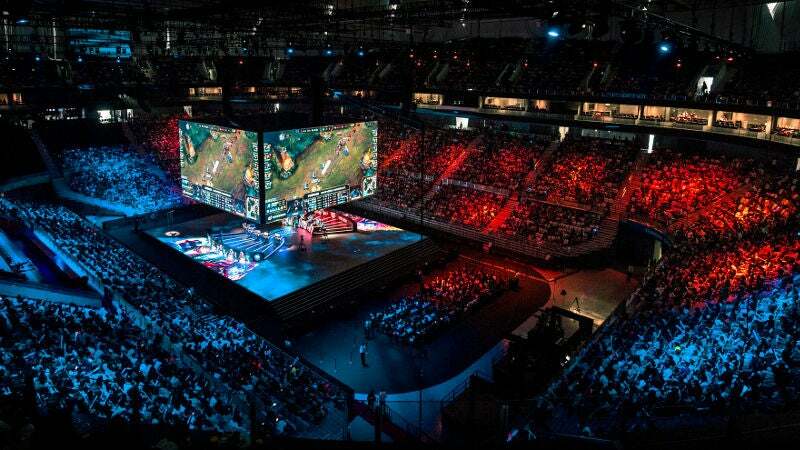 In an open letter, Directors of Esports Whalen Rozelle and Jarred Kennedy describe steps Riot is taking to ensure stability for esports players and teams. Riot is actively soliciting long-term investment in the scene from third parties, as well as adding more team-branded skins and items in-game. Riot will also be restructuring its approach to sponsorships and ad sales. "As we invest and build towards the future, we recognise that the current ecosystem isn't consistently profitable yet for team owners or for the league. Costs have risen — namely in the form of player salary increases and support for those pros — mainly as a direct result of significant external investment and interest in the scene. . . That investment is a positive thing, especially for pros, but we understand it creates pressure for teams juggling costs in the short-term and we want to help them avoid cutting pro salaries and support." - Championship skin & ward - From now, 25% of revenue from each year's Championship skin and Championship Ward will be added to the Worlds prize pool. That means every purchase of Championship Zed will directly increase the prize pool for Worlds 2016. For context, had this been applied last year, it would have more than doubled the prize pool. - Challenger skin - Similarly, going forward, 25% of revenue from each year's Challenger skin will be added to the MSI prize pool. These changes are riding on the heels of recent debate over Riot's approach to funding it esports teams. Last month, Riot's co-founder and a prominent League of Legends team owner publicly debated over how to fund the growing LoL esports scene. Team SoloMid owner Andy "Reginald" Dinh called for higher prize pools and better infrastructure for players. "A huge issue is revenue opportunities for the teams," Dinj said in an interview, citing players' financial volatility. Sudden and unpopular patches, combined with Riot's apparently restrictive approach to sponsor-player relations, made investing in the LoL scene difficult for interested parties. That difficulty, Dinh said, directly affected profesional LoL players' ability to make a living. On Reddit, Riot co-founder Mark Merrill fired back against Dinh. His argument was that Regi was diversifying his investments too much, not spending enough supporting his Team SoloMid: an accusation that Dinh says doesn't reflect the reality of LoL's volatility. The debates sparked a public conversation about whether the onus to properly compensate LoL players was on Riot or team owners. Merrill later revised his statement, agreeing with Dinh that "League esports (in its current form) doesn't provide the long term security and sustainability we ultimately aspire to for teams and pros." He added that, in 2017, Riot plans to install that new revenue model — the one announced today. ... second place gets a bag of rice. Meanwhile, Valve had been doing this for years. Only Riot had been accusing Valve of "begging it's community for an aspect of the game it had taken responsibility for". So, it's innovative when they do it, being cheapskates when others do. Got it. Well, what's one more thing borrowed from Dota? Top kek. I should buy the PA arcana.